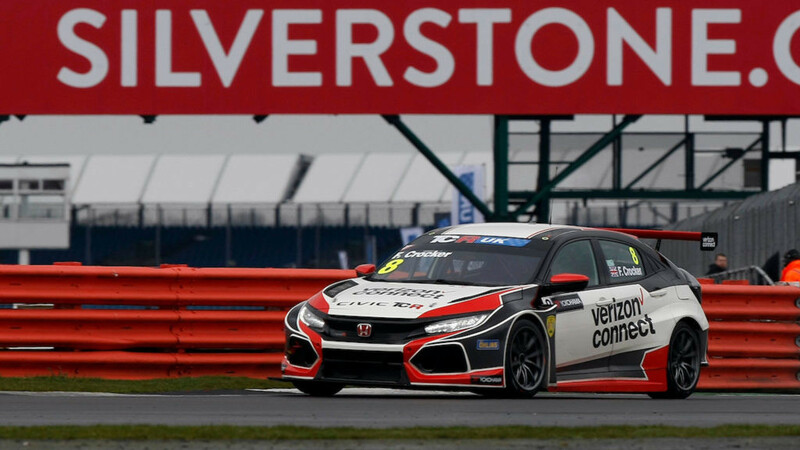 The TCR UK Touring Car Championship kicked off last weekend at Silverstone, with the world-beating touring car format making a quiet, but highly polished appearance in the UK for the first time. 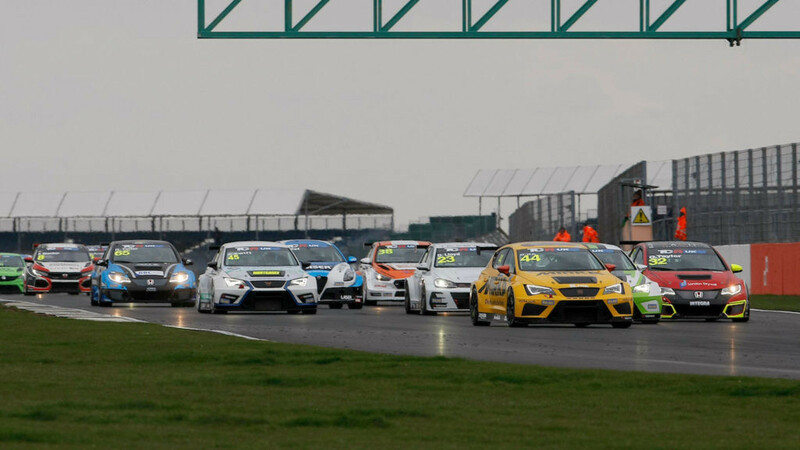 A 13-car grid took to the Silverstone National circuit across the Easter Bank Holiday weekend, which meant they were up against a challenge already; a cold, miserable, grey weekend – much like the rest in the UK in fact; but it was plain sailing for the fledgling championship’s first event, shadowing the formula of its successful TCR International Series parent, doing a lot with a little. In the year since its announcement, TCR UK has seen a many supporters say they’re glad the formula was on its way to the UK, but also a handful of detractors. Some of those were often focussed on a vision that was never in play – with TCR UK deliberately avoiding any BTCC weekend clashes, to some, anything less than a 16-round super-grid of two championships, with Team Dynamics, West Surrey Racing, Motorbase Performance competing across the pair of them like some kind of NASCAR Monster Cup/Xfinity Series or Australian Supercars Championship/Super2 Series crossover formula was going to be deemed as a failure – but as the championship’s promoter Jonathan Ashman maintained all along, going up against the BTCC or deliberately courting these kind of names was never the series’ intention; it always considered itself as a feeder series, with successful teams and drivers ideally going on to race in other national or regional TCR series, or even onto the BTCC itself. With TCR UK avoiding going up against the BTCC circus, that did open up other benefits. Engineers and mechanics who would work in the BTCC paddock, either in the main game or in the support series, were able to get an extra weekend’s pay working with the TCR UK teams, and one driver also decided to take on the challenge of doing both as well, with 21-year-old Aiden Moffat one of the stars of the weekend in the resplendent Alfa Romeo Giulietta TCR, with builders Romeo Ferraris jetting over from the World Touring Car Cup launch in Barcelona to help the Aiden Moffat Racing team, which were also running a second car for former BTCC racer Derek Palmer. There were professional efforts seen up and down the pit lane, with the garages of the three-car Honda line-up of VFR Racing, Sean Walkinshaw Racing and Pyro Motorsport all looking like they wouldn’t be out of place in the BTCC pit lane. The green garages of the Cupra teams and the Vauxhall of DW Racing were well turned out as well, while the attention to detail at the Essex & Kent team with their Hyundai, particularly noticeable as they worked tirelessly on race day to resolve some of Lewis Kent’s technical gremlins also showed a team working at its best. 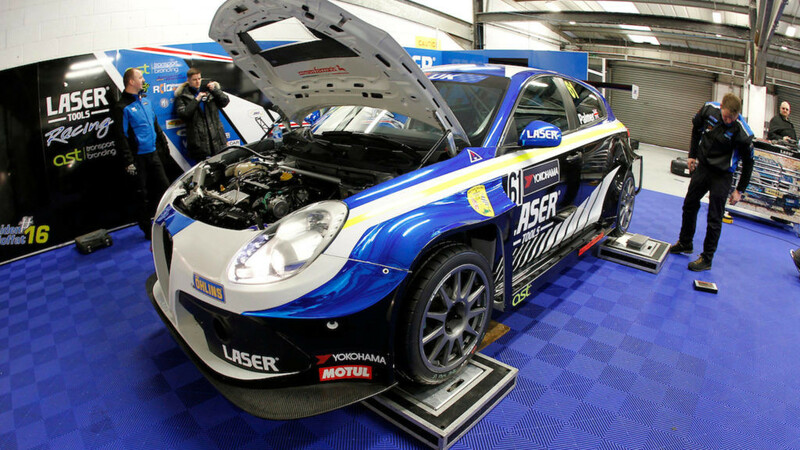 At the top end of the grid, and at least for now only with a guest entry, was STCC powerhouse team WestCoast Racing, who were a late entry to run young Swedes Andreas and Jessica Bäckman, and former BTCC and TCR racer Dan Lloyd in a trio of Volkswagen Golfs. The Bäckmans were there as part of their development programme, as the two siblings get ready for their 2018 debut season in the STCC, while Lloyd was there to showcase his skills and work on putting together a full season in the championship. In qualifying, Lloyd and Moffat shone right at the end, depriving Kent of what was nearly a surprise pole. After a good start in Race 1, Lloyd took a comfortable victory from a steady Moffat, with Ollie Taylor impressing on his first front-wheel drive outing in the Pyro Honda Civic. A random format reversed grid second race saw BTCC favourite Stewart Lines start from pole, but soon dropped down the order, with Andreas Bäckman the early race leader before he was caught and passed by Lloyd, who was on a mission. Bäckman lost another spot when he was overtaken by a similar fast-moving Moffat, but then was able to stay on the tail of the Scotsman applying pressure throughout, until Moffat slowed to a crawl with two laps to go with his Alfa running out of fuel, confirmed to be due to a technical issue with their refuelling equipment during the 20-minute repair and refuel window. Lloyd effectively stole the show and took the full points haul of 91 points. The race was broadcast, as was promised from the start, online, with a highlights package prepared for various sports specialist channels in the UK. 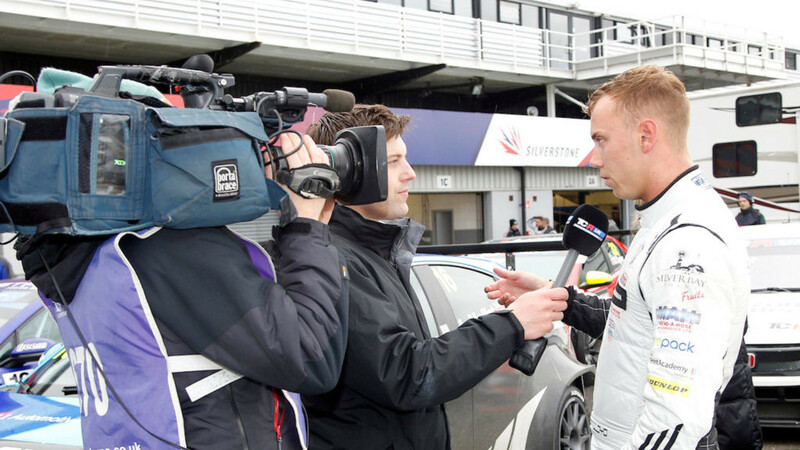 The broadcast production was very slick, with Bryn Lucas putting on a professional and informed performance as presenter, and an excitable Andrew McEwan echoing the commentary style of Ben Edwards handling the commentary duties, which extended throughout the BRSCC-run support package. In a weekend where a lot of things could have gone wrong, and with some concern that the championship wouldn’t even get off the ground, it was a very successful first weekend for the series in the UK. A lot of the weekend was about testing and learning, and there are some oddities which might take time to get used to. The rulebook was slightly altered from the TCR standard set to suit the UK racing scene and the weekend format. The novel grid system involved taking the second-fastest lap times from qualifying and reversing them. With qualifying not actually a part of the broadcast, the fact that’s not so clear to the fans who in this case aren’t able to watch is less of an issue, but there’s something odd about a qualifying system where strategy can’t even be a factor, in this case it’s used to simply randomise the second race’s grid, with no team or driver really able to control it or plan to maximise it. The qualifying session was a single session of 30 minutes, no top 12 go through to Q2 segment, which was quite old fashioned and refreshing in itself. A 30-minute fight for pole just like the old days – this retro style is already making its way back in, see the WTCR’s qualifying on Saturday – or see the BTCC, who haven’t messed with it for years. The races’ length was also a fixed 30 minutes, which is slightly longer than your typical 50-60km touring car race. This definitely had an effect at the end of the races, as the tyres were starting to wear out. Also, with the races having generally settled down by this point, it made the end seem a little drawn out, but from the competitors’ perspective, which is the main focus of the championship, they’re getting more running for their entry fee, which is very important. A points system which hands 40 points to the winner and goes on well past the number of entries on the grid is reminiscent of the Supercars Championship system, which makes finishing races vital, however, this could also work against the championship, as not finishing a race is perhaps unnecessarily damaging to anyone’s campaign. In terms of how the rest of the season looks, the Bäckmans are destined to take off to the STCC, which leaves TCR UK with a challenge to round up more competitors to keep their grid size in double figures, which after a successful showcase event should hopefully not be an issue. Then there’s the possibility of Dan Lloyd landing a full season drive and continuing his title tilt, which could prove to be a double-edged sword. With Lloyd an established name, that will bring kudos to TCR UK’s driver line-up, but as the 26-year-old showed, he, combined with a team such as WestCoast Racing, which have far more experience and motor racing history than any of the other teams on the grid, could easily put on a one-man show if he were to continue, which means his rivals would have to step up, or the championship would have to hope that some other strong teams and drivers fancy making an appearance to keep the show interesting. The championship has a five-week break to try and rest from all the hard work its put in during the last year to get off the ground, but it’ll still take an incredible amount of work still to keep the momentum going for what they’ve built, as they get ready for the jaunt to Knockhill in May, one of the UK’s greatest but also most logistically challenging circuits. The championship’s put down a strong foundation this weekend, what it now needs is a few more drivers and teams to recognise a benefit for them to be there, and make the move to bring or buy some cars and rock up on the grid.